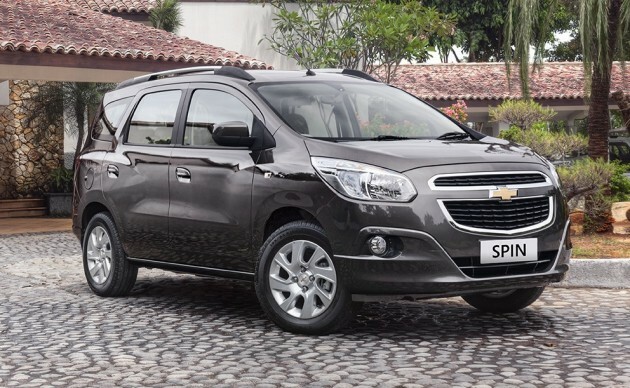 Production of the Chevrolet Spin for the ASEAN region has kicked off at the new GM plant in Bekasi, Indonesia. Aside from the domestic market, the sub-compact MPV – which made its debut at the Indonesian International Motor Show last year – will also be exported to the Phillipines and Thailand, where it was introduced last month. The entry-level seven-seater, designed and engineered by GM do Brasil with input from ASEAN teams, will be available with a trio of engine options, these being two petrol units (1.5 litre and 1.2 litre) and a 1.3 litre turbodiesel. In the case of the 1.5 litre petrol, output figures are 107 PS at 6,000 rpm and 148 Nm at 3,800 rpm for twin-cam, Dual-VVT mill, mated to a six-speed automatic transmission with driver shift control. Meanwhile, the 1.3 litre turbodiesel is good for 75 PS and 190 Nm, with a five-speed manual transmission in the mix. Other numbers for the 4.36 metre-long Spin include a 2,620 mm-long wheelbase, a cargo capacity of 162 litres in its seven-seater configuration, increasing to 864 litres with the rear-most seats folded and 1,608 litres with both rear rows folded. Ride height is 191 mm, and the Spin rides on 15-inch wheels and 195/65 profile tyres. 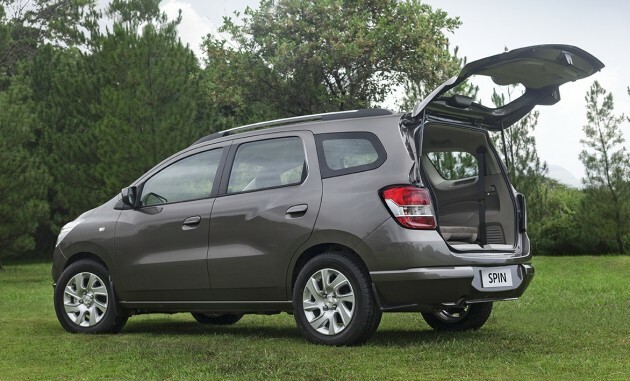 Like Thailand, the Spin will be available in Indonesia in its LTZ trim, with standard features on the 1,277 kg model including front/rear air-conditioning, a four-speaker CD/MP3 player, USB and Bluetooth connectivity, ABS and dual airbags. Annual output hasn’t been mentioned, but the 58,000 sq metre Bekasi facility has the capability to build 40,000 Spins a year – 80% of the Spins manufactured in Indonesia will stay in Indonesia, with the remainder exported to Thailand and the Philippines. it will be underpowered like the Avanza and Alza. from paper wise, it will not be so underpowered as the both 1.5 mills. awat x bawak mai malaysiak naza?? I was in Jakarta last week and manage to see it on display in a shopping mall. The 3rd row similar to Avanva, but what I like is that there is aircon vents in the ceilling for the 2nd row and 3rd row. I even brougt back the brochure to Malaysia.